Syracuse University has permanently expelled the Theta Tau fraternity from campus after a video showing members using racial slurs and derogatory language came to light last week. Syracuse Chancellor Kent Syverud made the announcement in a video to students and faculty on Saturday. "The racist, anti-Semitic, homophobic, ableist and sexist video was part of a Theta Tau sponsored event," he said. "Syracuse University is a place for people that come from all backgrounds," he added. The school initially suspended the engineering fraternity after the university got hold of a video from a private Facebook group showing brothers reciting a racist and anti-Semitic oath. "I solemnly swear to always have hatred in my heart," a member said referring to blacks, Hispanics and Jews in derogatory terms. 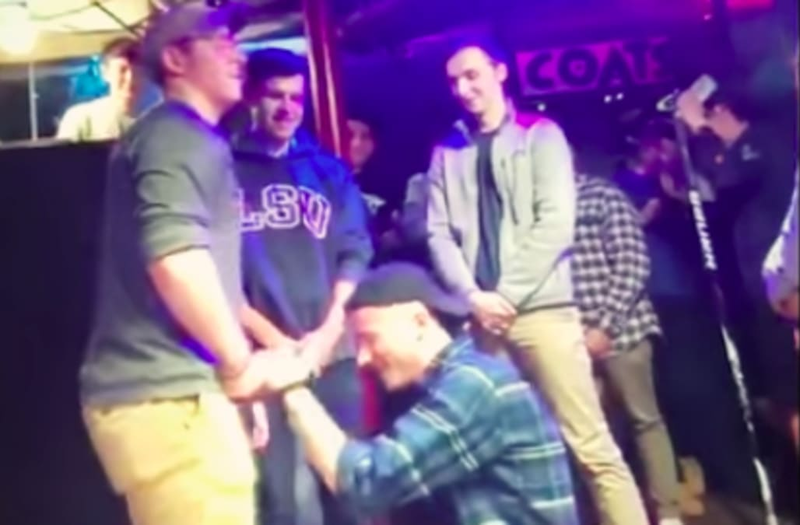 Theta Tau apologized for the video calling it "a satirical sketch of an uneducated, racist, homophobic, misogynist, sexist, ableist and intolerant person." "The young man playing the part of this character nor the young man being roasted do not hold any of the horrible views espoused as a part of that sketch," they said in a statement. The video triggered university-wide protests by students demanding action for the hateful words. In addition to the fraternity's expulsion, Syverud also announced that some students involved would be charged under the university's office of disciplinary action. Outcomes could result in suspension or expulsion, he said. He also acknowledged that the issue goes much deeper than this incident. "We know this issue extends beyond one fraternity and one video," he said, vowing for a "top to bottom" review of the greek system. "We have a lot of work to do and concrete steps are more important than any words I speak today," he said.